The Phanteks Mini ITX upgrade kit allows users to install a second complete system in the Mini XL. 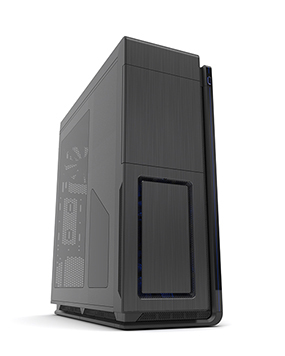 The Phanteks Mini ITX upgrade kit allows users to install a second complete system in the Enthoo Mini XL chassis. 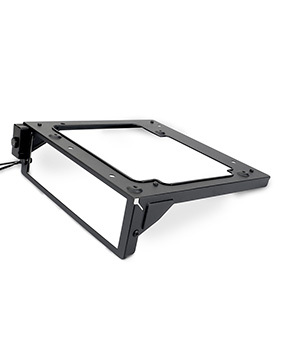 The kit includes a read I/O panel to support 2 PCI-e slots and 1 sfx power supply, a mini ITX motherboard mounting tray, and 1 5.25" Front Panel I/O device that includes 2x USB 3.0 ports, headphone, microphone, power button, and reset button. The Phanteks ITX upgrade kit allows users to mount an additional mini ITX motherboard in the Evolv X. The Phanteks ITX upgrade kit allows users to mount an additional mini ITX motherboard in the Evolv X. 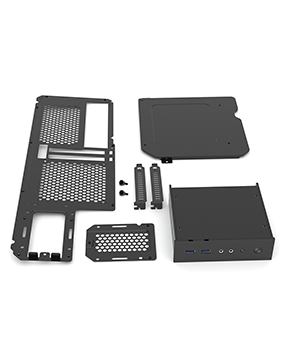 The kit includes a mini ITX motherboard mounting tray with intergrated power button and power LED.